Unknown until now US private pressing from 1969. Underground, psychedelic, electric jazz-rock / improv sound with mellow folk-rock moves and homemade / basement atmosphere. Mostly instrumental with some cut-up vocal sounds and effects. 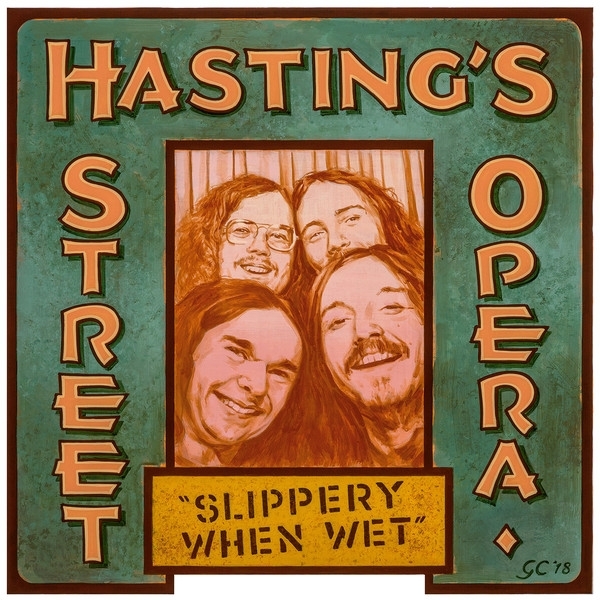 A mix of self-penned songs and amazing cover versions of classics like "Summertime", "Scarborough Fair" or "A Taste Of Honey" turned into hip, extended jams not so far away from the sound of the pioneering psychedelic ballroom bands from San Francisco. Electric & acoustic guitars, bass, drums, flute...Recommended if you like similar private psych-jazz obscurities like Elysian Spring. Initially born as a blues band, HSO eventually evolved into a true improvisation collective unit. 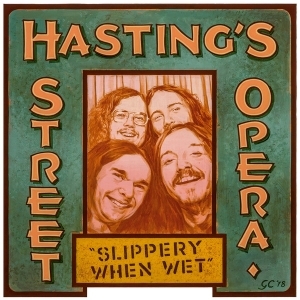 "Slippery When Wet" was recorded in 1969 at Don's house using a portable recorder operated by their math teacher, the famous old-time music preserver Charles Faurot. It was a vanity pressing of less than 100 copies, housed in hand-made covers which were distributed among friends and family. For this, the first ever reissue, original band member and visual artist Gordon Carlisle has designed a new vintage styled cover based on old photos of the band.